The Austria Trend Hotel Europa Graz, as a conference hotel, has 5 conference rooms, altogether 290m ², for 230 people in the largest room. 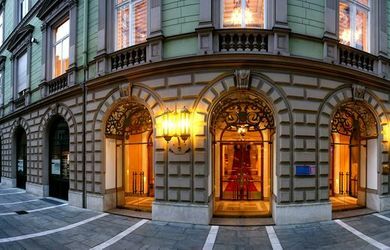 The conference hotel has 116 rooms and is situated in the centre of Graz at the main train station. 3 conference rooms for 120 people | 85 people in the largest room. 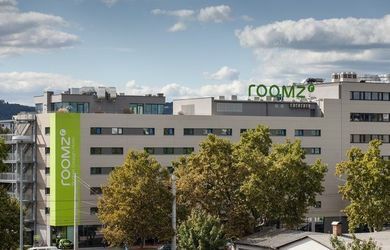 The roomz Graz as a conference venue has 3 meeting rooms on 110m ², for 85 people in the largest room. The conference hotel has 131 rooms and is centrally located in Graz. 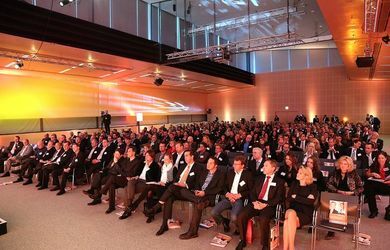 The Steiermarkhof as a conference hotel offers 20 meeting rooms totaling 1,350sqm 400 people in the largest room. The conference hotel has 53 rooms and is located in Graz/Styria. Das Weitzer as a conference venue has 8 meeting rooms totaling 830m² for 200 people in the largest room. The conference hotel has 204 rooms and is located in Graz in Styria. 5 conference rooms for 160 people / 40 people in the largest room. 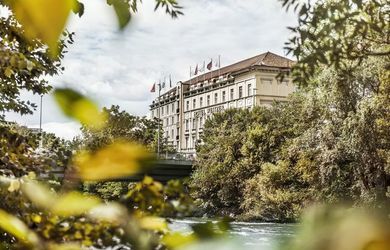 The Palais-Hotel Erzherzog Johann as a conference venue has 5 meeting rooms on 201m ², for 40 people in the largest room. 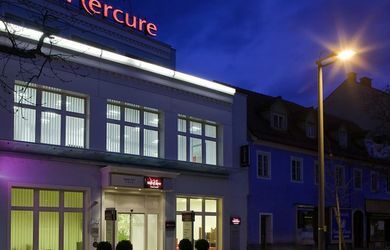 The conference hotel has 57 rooms and is centrally located in Graz. 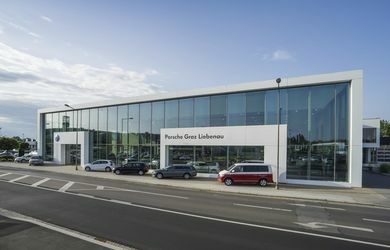 Porsche Graz Liebenau, as an event location, offers 4 conference rooms, altogether 1500qm, for 555 people in the largest room. The event location is located in Graz-Liebenau. The Hotel Nova Park as a conference hotel has 22 function rooms on altogether 2.500 sqm, for 900 people in the largest room. 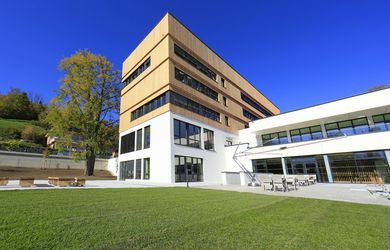 The conference hotel offers 141 rooms and is located in Graz/Styria. Hotel Wiesler as a conference venue has 4 meeting rooms totaling 265m² for 100 people in the largest room. The conference hotel has 98 rooms and is located in Graz in Styria. The event venue Messe Congress Graz offers 25 function rooms totaling 13100m ² / 1,100 people in the largest room. The event venue is located in Graz / Styria. DasDaniel Graz conference hotel has 3 meeting rooms totaling 50m², 40 people in the largest room. 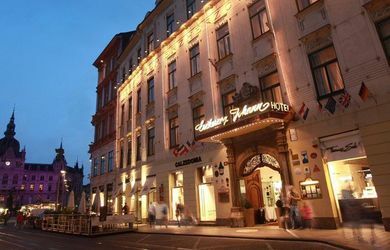 The seminar hotel has 107 rooms and is located in Graz in Styria. The event venue Congress Graz offers 19 function rooms totaling 2900m ² / 1050 people in the largest room. The event venue is located in Graz / Styria. 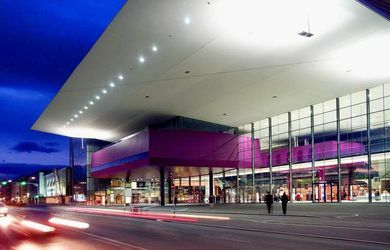 The event venue Stadthalle Graz has 2 column-free conference areas to a total of 9500m ² / 5,200 people in the largest room. The event venue is located in Graz / Styria. 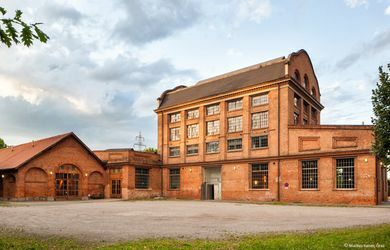 The event venue Seifenfabrik Graz offers 4 function rooms totaling 1,800sqm / 700 people in the largest room. The event venue is located in Graz/Styria. "Das Weitzer" Hotel Wiesler and Hotel Daniel include 10 meeting rooms on insegesamt 830sqm, 270 people in the largest room, and include a total of 204 rooms. 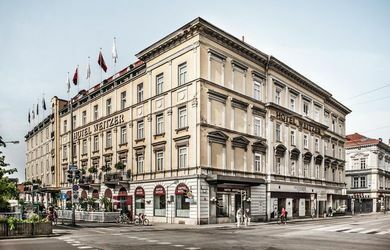 View all 3 hotels located in the center of Graz.